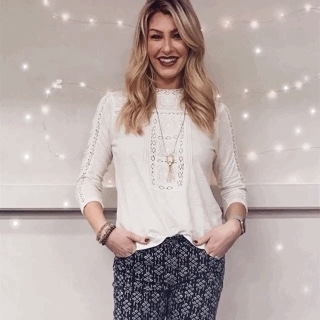 It's always fun to mix it up with some patterned pants, especially these gems from Anthropologie! Paired with a Lucky Brand crocheted detail top; it's not too funky-- just funky ENOUGH. That's what I like! Shoes are Franco Sarto Fenway wedge, perfect for teaching and doesn't cramp your style when you need to be cute and comfy.